Gov. Hickenlooper hasn’t officially announced a presidential run, but after forming his presidential PAC and conducting numerous interviews on how he would run, if he were running for president, he accidentally let it slip what’s holding him back. Turns out, Hick is a white dude, and a straight one at that. Now he and some pretty big names in Democratic politics are admitting to Washington’s Politico there’s no room in their party for white dudes who don’t tow the radical leftist line. 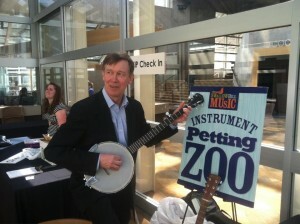 Hickenlooper himself volunteers he is “working with how to talk about” his centrist political profile in a Democratic presidential primary where the grass-roots energy will be on the left and progressive women and nonwhite candidates will capture the interest of the party base as never before. Poor Hick, a casualty of his own party’s extremist views. Former U.S. Senator and presidential candidate Gary Hart says Hick’s been consulting with him about a presidential run.